in your back garden. But what about safety when organising your own public event, of which you are having a ‘professional firework display’? There are over 400 firework companies in the UK currently, and the number is still growing. But unfortunately every year we see people getting rushed to hospital due to a firework related injury, whether that’s consumer fireworks or professionally fired displays. So if you are holding your own public event with fireworks, is the company you’re using safe? Do you know the correct checks/questions to ask them? Below I have stated a couple of the main points to cover, with your current firework company. There is only one official recognised qualification available within the firework industry, which is endorsed by City and Guilds, but still a couple of ‘bodies’ out there are recognised for their consciousness towards the health and safety of performing with fireworks. The main one to look out for is the ‘BPA’ (British Pyrotechnic Association), which all the reputable firework companies in the UK are registered with and the only one endorsed by the city and guilds. For a company to be part of the BPA, they must show their competence and safety of knowledge of fireworks, which they are then trained to the standards of the association. Once training is complete, exams passed etc. The company can then run their own training course to bring the standards of their crew/company up to the most recognised in the country, ensuring safety throughout the industry. Every firework company should complete a full, in depth, site risk assessment before intending to perform at any venue. This helps the company understand exactly what material can be used at that certain site, if at all, and ensuring the audience and surrounding area is safe for the size of the display. Again, the BPA hold their own Risk Assessment Courses annually, ensuring all their registered members are performing to the highest, safest standards. Make sure, before you have your display, you request a copy of the current risk assessment and insurance documents to make sure you’re happy with what they will deliver. When it comes to insurance, you need to be covered for everything! Although most firework companies work to the safest standards to prevent accidents happen, there is always the slight possibility something may malfunction. Not only do you want to be insured if a person was injured, but property too. We recommend a minimum insurance cover of £5m, no matter what the event! Here at Skyburst, we have run for over 30 years without causing any major damage or injury to any property/persons. We pride ourselves on health and safety, from equipment testing and maintenance; regular employee training to thorough and in depth risk assessments. We would never dream of increasing the impact of our display, should it compromise the safe of the general public! 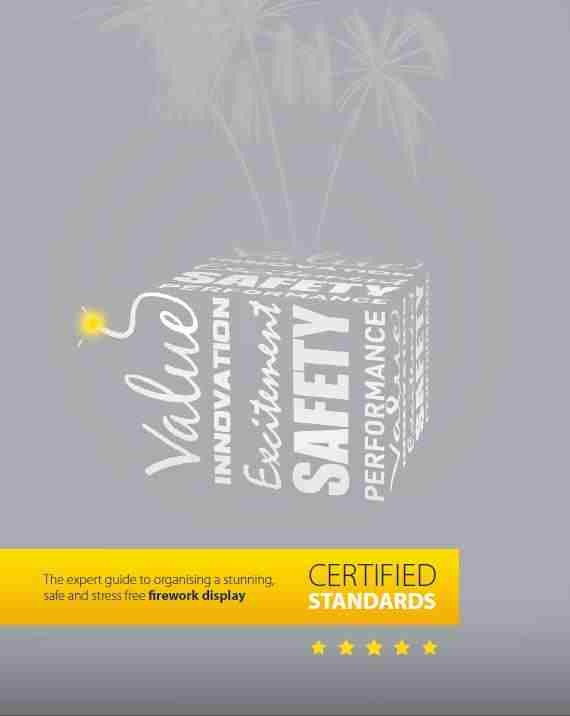 If you would like more info on how Skyburst The Firework Co. operate to the highest standards and safety, our ‘Experts Guide To Safety With Fireworks’ is now available as a free download! Please click HERE to download, or send us a message with your address and we’ll get a glossy copy through your door within a week. Our guide also includes a handy checklist for you to follow and question your current, Professional Firework Supplier. Don’t forget, if they can’t tick all the boxes, then they aren’t the safest company to use! Don’t have time to read through it all, but you’re unsure your company is suitable? Drop us an email, or give us a call for a quick chat and we can talk you through what you should expect to be delivered to your event! 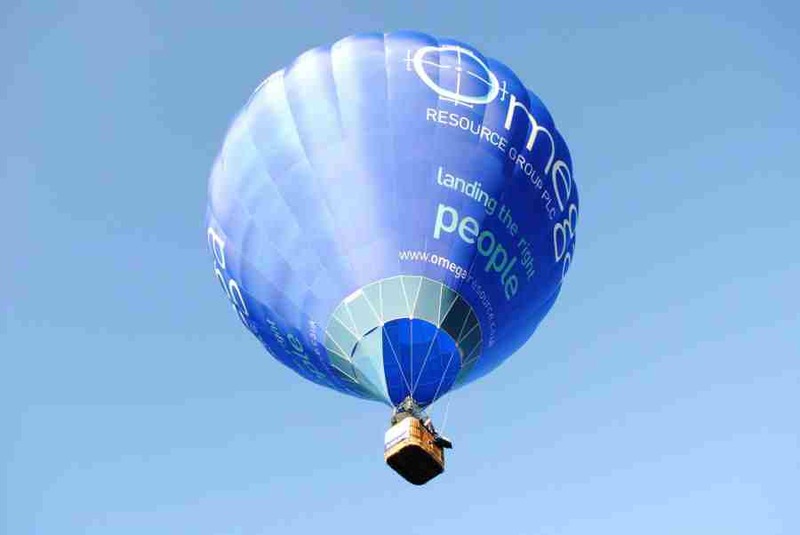 On Friday 4th April, Thornbury welcomed hundreds of hot air balloonists to the golf club for their annual meet. The event was run by sponsors, giving many companies in Bristol a chance to get involved and support such a great event, raising hundreds for charity. Despite a turn in the weather, they still managed to get a few balloons off the ground, giving the Locals of Thornbury a tour of their town from high in the sky. With the sun setting in the distance of the golf course, families started arriving to enjoy an onsite BBQ and a few drinks with high spirits for the evening’s entertainment. Once the sun had almost disappeared, the balloonists saw the opportunity to get their masterpieces into place, ready for the big balloon glow finale. 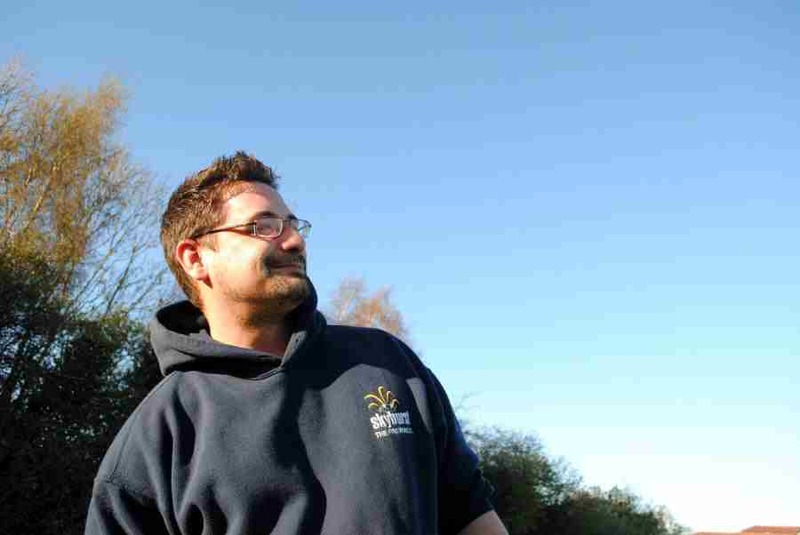 Little did the locals know that one of the largest firework companies in the UK, Skyburst the Firework Co, had been setting up quietly at the back of the golf course to give the evening a finishing touch they would never forget. Skyburst was given the opportunity to be a main sponsor of the event, only 2 weeks prior to the deadline, donating the time, crew and choreography to give a real magical feel to the showcase. After 25 minutes of huge hot air balloons, pulsing and flickering to the music, sudden bursts of colour and glitter filled the sky behind what already was a magnificent site to see. Once the balloons had deflated, Skyburst took their opportunity to show off what they do best. Performing with Fireworks to music! Using a Pyro digital display, this creates an illusion of fireworks dancing to the beat of the music. Hitting key punctuation throughout the track, and the right selection of effects and firing sequences, Skyburst really made the fireworks dance to the music. With a big build-up of guitar and drum solos, the fireworks got more intense ending with a huge Finale of colour filling the sky on cue with the last beat. Before the event happened, Skyburst liaised with the organisers many times, ensuring all the minor details of the display were correct and that all safety procedures were put in place. 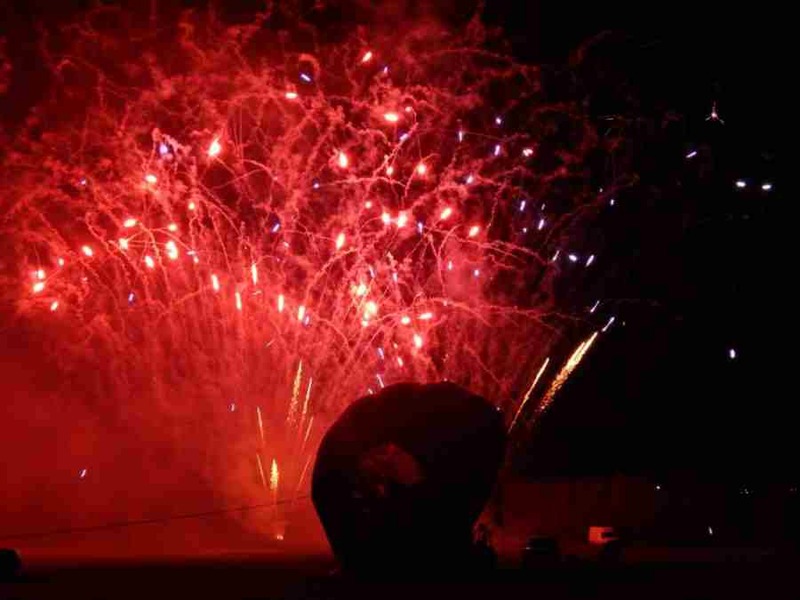 Once the display had been designed, there was one final meeting to present a video representation of the firework display, ensuring the display was to the standards of the whole event, and that it thrilled, excited and took the crowd through a journey of experience. You can watch the firework display below, or if you have ideas of a firework display for your own event, you can contact Skyburst HERE. All details, pictures and videos of the Thornbury Balloon meet can be found of the official website HERE. Interested in more of Skyburst Displays? Go to their video library HERE. We’d love to hear what you thought of the event, and this blog. Register on Skyburst’s site to allow posting and commenting below.